Ahoy there me hearties! It’s me again yer favorite app pirate ready to give ye another dose of app review, that me know you are waiting for. While this old salt is obviously fond of parrots, me also love all kinds of animals, like cats. This is what the app that I will share with ye is about. It’s called Furistas Cat Café by Runaway. If ye lads and lasses want to learn more about it, avast ye as we will now begin with the review. If you love games with charming graphic, this one will not disappoint. The cats, characters, and objects are all amazing. What’s even better is that you can design your own café, although this can only be done on the inside. The interior is fully customizable from your wall to the furniture that you wish to add. You need to earn enough currency in order to unlock or purchase items, although there are those that take time unlock. So this may require some patience. The basic gameplay of the app is pretty simple. You have to match the cats with the customers and collect their hearts once they leave. There is a tutorial at the start of the game, which makes it even easier. 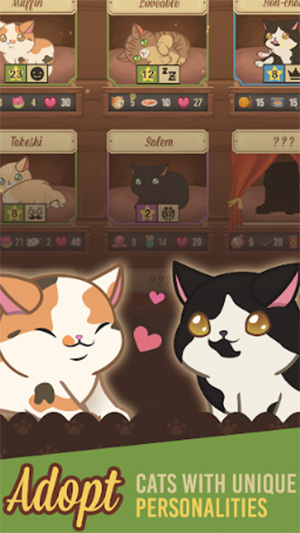 The cats also have their own personalities and matching them with the personalities of the customers earn you more currencies, so it would help to familiarize yourself with the cats that you adopted. This casual game lets you play as much as you want. However, as mentioned, some of the objects like the baskets, take time to unlock. There are those that take hours, which can test the patience of the players. It’s also a nice option for those who want to play a game that they could check out every now and then. The app can only be played with Internet connection. If you are offline, you will not be able to play the game. However, the issue is that there are times that you will get an error that there is no Internet connection when there is. Moreover, the are also instances when the game lags. 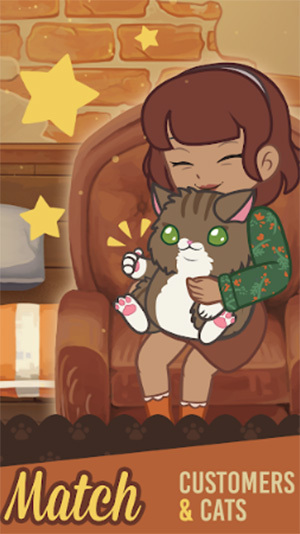 Furistas Cat Café is a free to download app and it has adorable graphics. The inside of the café can also be customized to your heart’s content. It’s a casual game that you can check out every now and then or anytime that you want. There are some technician difficulties like a no Internet connection error and the lagging. Only the inside of the café can be customized. Some of the objects also take time to unlock. This free to play app may have some drawbacks like a few technical difficulties that happen every now and then, and the time it takes to unlock some of the items. However, it’s free, it has superb graphics, and it will keep you occupied, so it’s still a good app to try.